Minsk is the dynamic capital city of Belarus. With more than 1.9 million residents, it is by far the busiest city in the country. Minsk offers visitors the chance to remember European history and also serves up a great cosmopolitan atmosphere. Well-known tourist attractions of the city include Gallery Slavutyya Maistrakh, Church of All Saints and the Island of Tears. 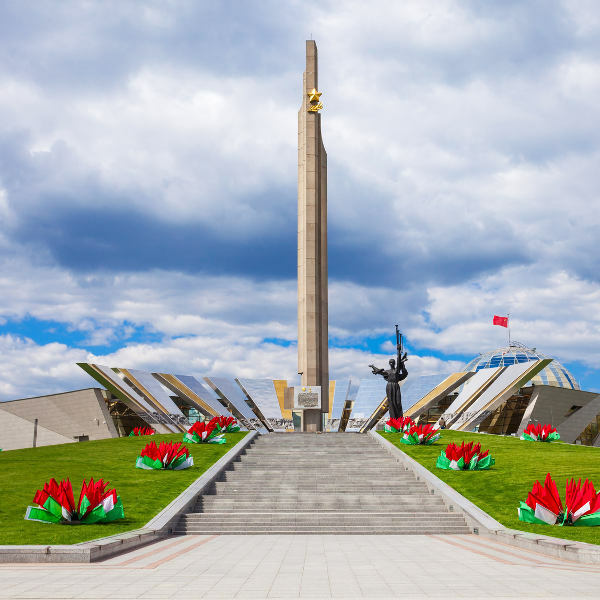 Cheap flights to Minsk are now available for a limited period of time, so get ready to be inspired by this great city! Minsk is home of Minsk National Airport (MSQ), which is located on a 40-minute drive from the city centre. Though they might just look like large concrete buildings, you’ll be amazed at the stories behind these structures attributed to the working class. 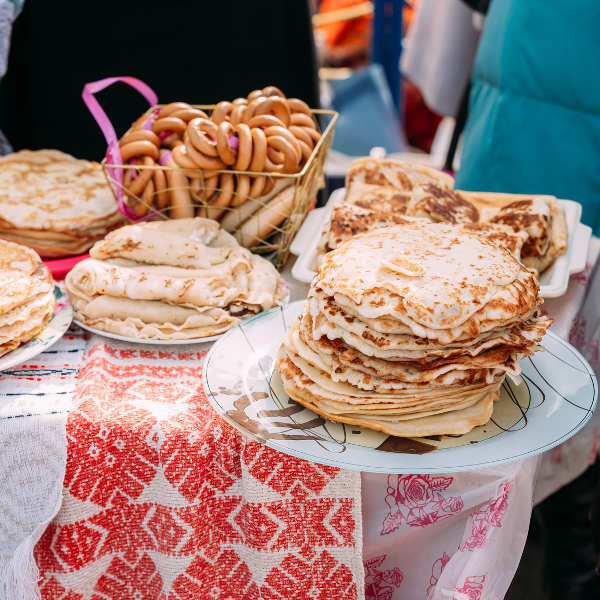 Your sweet tooth will never love you as much as when you try the decadent “draniki” (potato pancakes) and “machanka” (dipped crepes) that Minsk has to share. The Museum of the Great Patriotic War (and other structures in honour of fallen war heroes) is a superb masterpiece, and holds some inspiring artefacts from World War II. In Minsk, there is no real peak season, and instead we suggest that you allow your interests to decide when to go. Temperatures are generally quite cool, and it can get very cold in winter (November to March). So, if you wish to enjoy some sightseeing and indulge in the Belarus culture then June and July might be best as this is when it is warmest (about 21°C). Minsk is also well known for being a great winter sport location with the Silichy ski resort just 30 minutes out of the city. You can hire equipment there and learn to ski and snowboard like a pro. The streets of Minsk are filled with tall, magnificent Soviet-styled architecture that hold stories of the city. It’s recorded that during World War II, Minsk was almost completely destroyed, and afterwards, it was rebuilt to show how strong and empowered it had become. Now, the city is a hub of great artistry and the latest food trends can be found in the many top-notch cafes and restaurants like Kuhmistr and The View Restaurant. Modern, fashionable and on the pulse of life in Europe, Minsk is so much more than just a city for war historians. 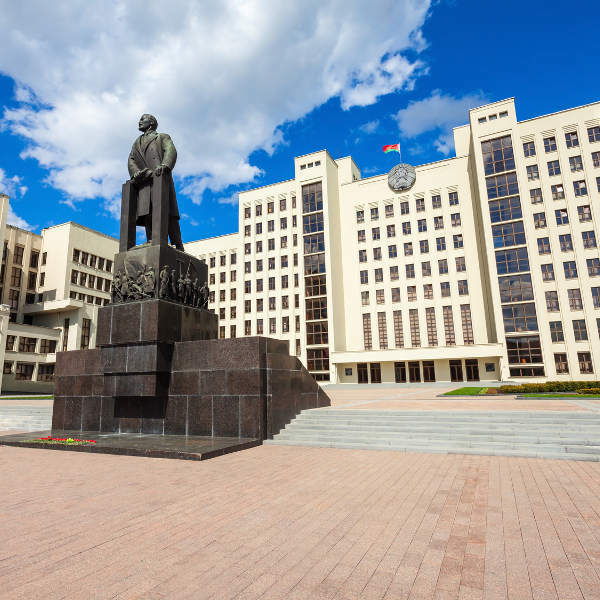 The city does make sure to honour its fallen heroes and has a wealth of knowledge in one of its 139 libraries and museums such as the Museum of Great Patriotic War, Stalin Line Museum and Belarus State. Compare multiple airlines and book your cheap flights to Minsk with Travelstart! As Minsk is regarded as a police city, it is pretty safe with a visible police presence around. It is not, however, a good idea to walk around alone at night so rather take a friend with you when exploring the city at night. It is always important to have your vaccines up to date when you are travelling. When visiting Minsk, it is strongly recommended to get a vaccination for hepatitis A as there is a slight chance that the food and water may be contaminated, regardless of where you will be eating. It is also a good idea to get a shot for hepatitis B, and then Rabies too if you plan to spend some time doing adventurous activities or interacting with animals.